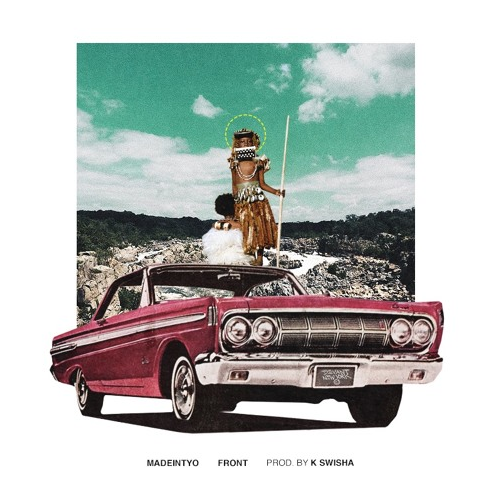 Listen to Madeintyo's booming K Swisha-produced "Front." Fresh off his August EP Thank You, Mr. Tokyo, Madeintyo kicked off the beginning of fall with a breezy number by the name of "Smash3x." He returned last night with another loose release called "Front." "Front" bears little resemblance to the more lackadaisical "Smash3x," except for K Swisha's penchant for pairing booming 808s with whimsical upper register synths. Tyo channels Makonnen vibes on the hook. With a runtime of under two minutes, the song is brief, with time enough for one verse sandwiched in between two choruses. ICYMI, watch Madeintyo's episode of #OnTheComeUp below. Lil boy, what you want?